Welcome to All Cape Door Systems. We have been serving South Dennis, Massachusetts and surrounding area since 1984. As a local, family-owned business, we understand what our customers want. That’s why we focus on quality products and great service, all at fair prices. Our local understanding of the market sets us apart from the competition. From classic Cape Cod to Contemporary styles, our professionals are happy to recommend a Garaga garage door that is right for your home. 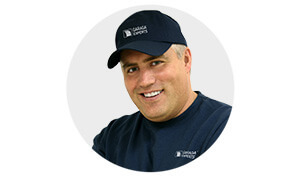 Garaga is one of the most renowned overhead garage door manufacturers in North America. Their state-of-the-art products are beautiful, durable, and energy efficient. Need to stick to your budget? Don’t sacrifice quality! Contact us today for an affordable new residential, commercial, agricultural or industrial garage door. For a free estimate, call us at 508-398-2757 or complete our online form. Seeing as the garage can add up to 40 percent of a home’s frontage, a beautiful door really matters. But your garage door system just isn’t complete without an automatic opener. Openers make your garage doors so easy to use. No more heavy lifting! At All Cape Door Systems, we sell and install Chamberlain’s LiftMaster brand of residential and commercial grade garage door openers. We love how reliable they are, and customers love that they run so quietly. New Construction? Renovation? We do it all! Visit our door opener gallery to see our wide range of products. We are pleased to offer timely installations for all of our garage door openers. A professional installation has a number of important benefits, including improved safety and efficiency. Book your appointment today! Over time, repetitive usage and harsh weather can damage your garage door system. Regular inspections can ensure that your garage door components are all in great working condition. Contact us today to learn more about our preventive maintenance program. At All Cape Door Systems, we offer garage door and door opener installations, repairs and maintenance. We are committed to offering you quality products, like Garaga garage doors, and excellent workmanship. Contact us today for all of your garage door needs. We look forward to serving you! We are located at 25 American Way, Unit #3, South Dennis, MA 02660, 508-398-2757. We serve all of Cape Cod, including Barnstable, Provincetown, Orleans, Wellfleet, Sandwich, Eastham, Brewster, Chatham, Harwich, Yarmouth, South Yarmouth, East Dennis, Dennis, West Yarmouth, Hyannis, Bourne, Truro and North Truro. Barnstable, Provincetown, Orleans, Wellfleet, Sandwich, Eastham, Brewster, Chatham, Harwich, Yarmouth, South Yarmouth, East Dennis, Dennis, West Yarmouth, Hyannis, Bourne, Truro, North Truro.